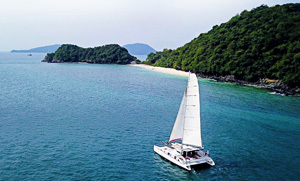 We are offering Sailing Yacht and Power Boat Charters since over 10 years in Phuket Thailand. You can expect honest and personal service from a very dedicated team. To learn more about our cruises please watch this video. It gives you a good picture about my and my team's motives and motivation. We are looking forward hearing from you and to welcome you aboard for a fantasitc holiday experience in the waters around Phuket and beyond. 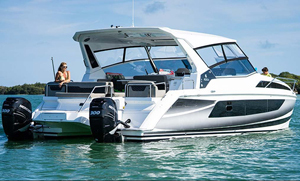 Markus - Phuket Boatcharter "
Get away from the crowds and charter your own private yacht or power boat for day- or muliplte day overnight trips. You don't need any boating experience. 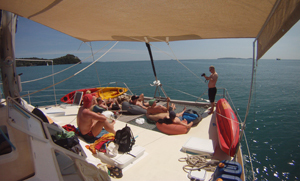 All our boats are fully crewed and you just can relax onboard and enjoy the dedicated services. Get pampered on the most relaxing holidays you can imagine. Your own floating hotel brings you to the best destinations Phuket and beyond has to offer. We tailor made your trip. Charter your own private Sailing Yacht for a fantastic Sailing / Boating Holiday in Phuket.All boats come fully crewded and offer comfortable cabins for overnight trips. On top deck you find plenty of shade and space to relax, sipping a drink, listening to your favorite tunes. The cuisine aboard is fantastic, since your Private Chef prepares all meals freshly just for you, your friends or family. Get pampered on the most relaxing holidays you can imagine. 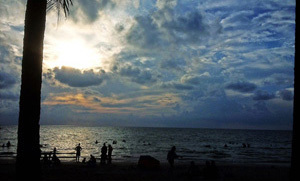 Discover the beauties of the Islands around Phuket - Thailand. You can rent our boats for just a daytrip around Phuket. All boats have snorkeling gear and fishing gear aboard. The Sailing Yachts have Kayaks and SUP's, on some ome them Scuba Diving is possible. You don't need any expericence. All our boats come with an experienced captain and crew. We offer boats from 2 to 60 guests for all occasions. For Daytrips your Best Choice is to rent your own private speedboat or power catamaran, simply because they can cover a larger area to see Phuket's sourounding islands. Daytrips usually are from 9 am to 5 pm, but we offer four hours "Fun Run's" as well. 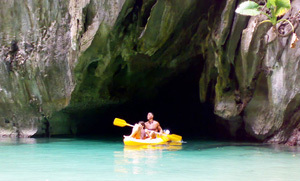 Prefered Destinations are Phang Nga Bay with its limestone formations (James Bond Island), Phi Phi and Maiton Island. Even cruising at speed, all trips are conducted very leisurely - that's what your holidays are all about. On our booating daytrips around Phuket Thailand and for longer overnight charters you can discover the whole Andaman Sea. Destination like Phi Phi, Krabi, Phang Nga, Lanta, Butang Group, Ko Lipe. As well we offer cruises in the Mergui Archipelago, Burma / Myanmar. It is your holiday and you decide where you like to go, what you like to do. The obious choice is enjyoing a relaxed time onboad your private chartered boat. On daytrips you will be visiting different islands, go snorkeling or fishing. The larger yachts have Kayaks and SUP's. Some are fitted for Scuba Diviing as well. Boating Holidays are perfect for kids, because of the changing scenary and the watersports. Celebrate your birthday, wedding, stag, bachelorette party or any other incentive onboard on of our yachts in Phuket. We offer smaller boats for honeymoon or proposal trips and big yachts for up to 60 guests. Being on your private boat just beats the hotel or ballroom routine by far.